"More and more of Centreviews' customers work outside of regular business hours due to easy access to our SaaS solutions, which raised the availability requirement of our platform. MySQL Enterprise Edition offers the performance, reliability, and availability we need, and has enabled API to provide uninterrupted cloud-based financial and accounting services, especially with the access to expert MySQL support professionals through Oracle Premier Support for MySQL." Founded in St. Paul, Minnesota, API Outsourcing is a technology company and provider of Centreviews Business Intelligence Suite, a simple, scalable, and secure solution for back office departments and professionals to automate their accounts payable, accounts receivable and document management processes. Many enterprises adopt finance and accounting technologies not only to drive efficiency, improve business performance, and reduce operating costs, but even more importantly, to allow their resources to focus on core competencies in products and service offerings. Centreviews Business Intelligence Suite is available to customers or business partners on a SaaS only model or as a BPaaS model where API provides outsourced labor to process accounts payable, accounts receivable, document management on its Centreviews Business Intelligence Suite. Both the SaaS and BPaaS offering enables customers to implement a technology based solution to automate processes with no capital investment and minimal IT resources. API's customers can identify, resolve, and prevent problems with their accounts payables, accounts receivables, and document management processes faster and easier than ever before. The Centreviews Payables Solution allows customers to automate their payables processes from order to payment using the Centreviews workflow platform to improve efficiency, visibility and controls. The Centreviews Receivables Solution allows customers to automate their remittance matching, cash application and deduction management from order to cash using the workflow platform. This sophisticated, yet simple to use solution has helped numerous companies both large and small including Sirius XM, Kohler, G&K Services, Randstad and NASDAQ to improve cash flow and profits. Business partners such as, Rosenthal and Rosenthal, Swiss Post Solutions and Commerce Bank have utilized Centreviews to automate their customers processes to improve their cash flow, increase business intelligence, enhance customer/vendor relationships, and reduce processing costs up to 60%. When API initially launched the Centreviews suite, it required a database that supported high-speed data inserts, was very secure, and performed well on the Linux operating system. Since many of Centreviews' customers are financial institutions, it's essential that the products are in compliance with the latest regulations to safeguard sensitive financial data. Furthermore, this database had to be highly available, reliable, at a low cost, and scalable enough for future expansions. MySQL has been the core of the Centreviews platform since the inception in 2005. It stores all the data to support invoice approval workflow and the associated documents to data archives and remittance processes. Even when the Centreviews suite evolved and required better support for transactional operations, MySQL continued to perform well and met all the requirements from API. Today, MySQL serves over 10,000 Centreviews users daily and processes over 100 million transactions annually. MySQL replication is deployed in Centreviews for backup and disaster recovery. One master server and two slave servers are co-located, while a third slave is at a separate site, dedicated for the purpose of maintaining 99.9% uptime and for disaster recovery. One of the slaves in the same location as the master is configured with replication to be a backup server in case there's any issue during recovery, while the other runs replication to take a snapshot of the master server. As more data and business processes are digitized and accessed via mobile devices, the reliability and availability requirements have elevated to a new level. Hundreds of companies are using Centreviews to access or update some of its 24,000 tables and 1 TB of data, not only during regular business hours, but also at 6am on Sunday morning when business activities were rarely seen previously. "More and more people now have to do work outside of work." said Joe Hess, IT Manager at API. "Therefore, we have to be reliable and available." To meet customer expectations of being available 24x7, API upgraded Centreviews to the MySQL Enterprise Edition so that they can leverage the advanced features and have direct access to expert MySQL support professionals through Oracle Premier Support for MySQL. "The reality is that we're in trouble when we need Oracle's MySQL support team," said Joe Mullen, Software Development Manager at API. "In all those stressful events, the MySQL support engineers have helped us get the business-critical systems back to function in a timely manner. 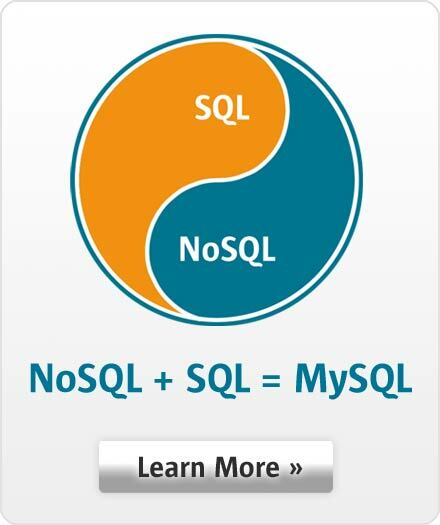 It's pretty awesome that I can't think of any bad experience with the MySQL support team." API started to use MySQL since version 4, and have followed the product releases closely and upgraded to newer versions. Currently, Centreviews is based on MySQL 5.6, and the IT team plans to upgrade to MySQL 5.7 soon to take advantage of the latest features and performance improvements. "API deploys MySQL Enterprise Edition as the foundation of our Centreviews product suites for its high performance, low cost, and great support on Linux. We are very satisfied in its ability to deliver simple, scalable, and secure business solutions to our customers."